If you remember the last time you rifled through the candle drawer during a blackout, you’ll remember that blackouts shine a light on our total dependence on electricity: the food in the fridge, the lights, the WiFi…the phone charger. Our lives are electric. Since electricity is the fuel of modern society, you might imagine a faultless national map for how we use our energy, the power grid that distributes it, the various sources that generate it, and how that might transform as we transition away from fossil fuels and towards renewable ones. But—it’s not without fault, it has pieces missing, or yet to be described at all, and there are many ways it could be improved. Before we tell you why such a thing is vitally important, we’re going to tell you how it would be built and how you’re going to build it for us. ‘…what was that?’ Oh…nothing. Any useful model, or representation, of Australia’s energy use needs input from Australian homes: how much power they use, with what appliances, and at what times. And in our homes, even in this age of enlightenment and smartphones—the world’s knowledge (and megaphone) at our fingertips—we’re often left feeling powerless to contribute, kept in the dark as decisions are made about our energy futures. *Ting*—an idea: Why not play match-maker and empower Australians to contribute energy use data, allowing Australians to build their own energy model? The ‘Energy Use Data Model’; the map-makers’ map. And that’s what our research group, led by Dr Adam Berry, is doing. ‘An app?’ you say, bells raising, flags ringing. Yes—there are plenty of apps, each vying for our time and attention, but this isn’t about push notifications or crushing lollies. It’s about science. 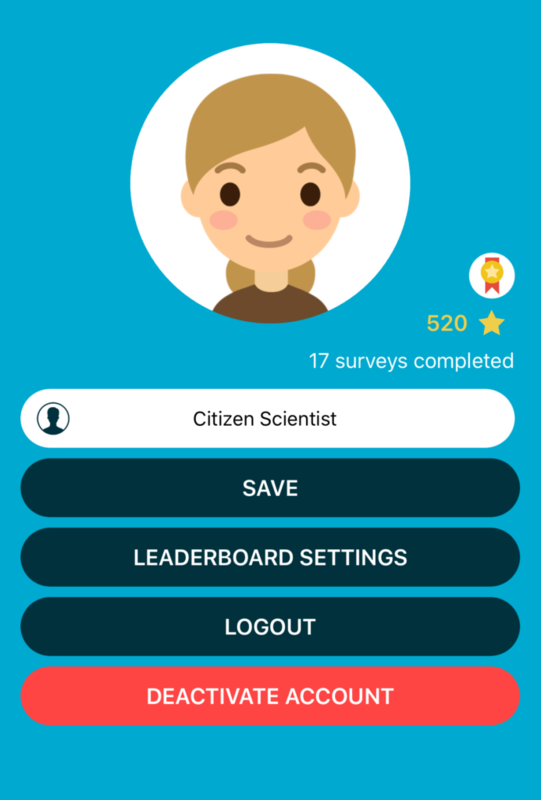 Citizen science and a dialogue. What data will you be contributing? 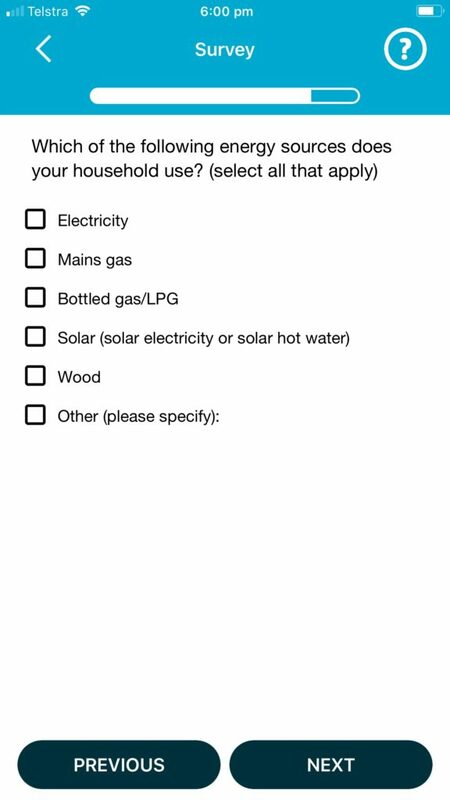 Stuff you might tell an enquiring house guest: household characteristics, appliances, uptake of renewables, all via micro-surveys. An example survey question complete with tantalising progress bar. CSIRO Energise has a two-way focus: it collects the information you submit and, in exchange, provides you with exciting updates on our science. 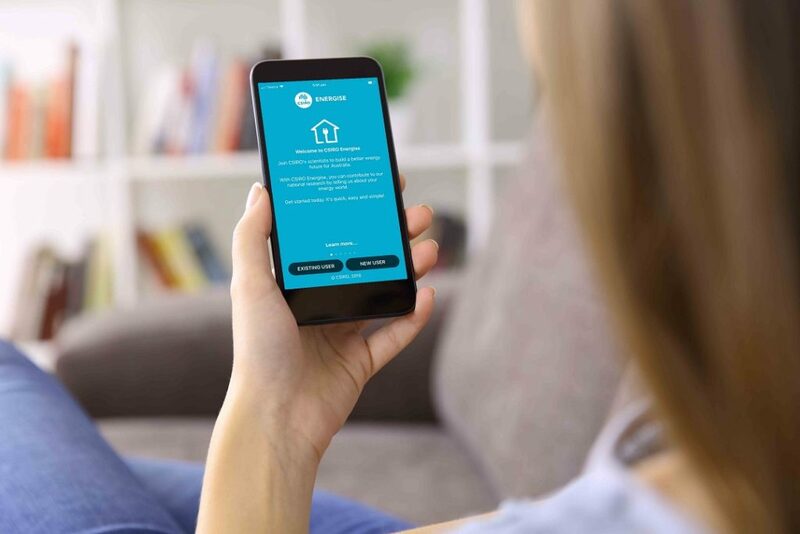 And not only will your information contribute to household-level insights, but also to the ‘big picture’ scale, allowing us to build the right technologies and solutions that will come to support Australian households in the future. Brownie points—redeemable with friends, family, and whosoever should hear about the pleasures of citizen science in collaboration with yours truly. Thanks for your refreshing honesty. With your help via CSIRO Energise, not only can we illuminate Australia’s current energy landscape, but we can start shifting it to where it needs to go. And that needs data. ‘If we don’t have the data about these massive shifts and what they mean to Australia, then we are running blind – and that is not a good way to design an optimal future!’ says Dr Berry. It goes without saying, but everyone runs blind in a blackout. I would prefer to use my laptop to provide the information that’s required for this survey, I’m running windows 10. Thanks for your interest! Unfortunately, Energise is only available on mobile phones. I was going to download it, but why do you need to read/modify/delete my media files, take pictures and full network access??!! Sorry, but I always look at the requested permissions and I wouldn’t accept those. Why do so many apps need to use a phone, with no option for computers? I’d gladly participate but don’t have a smartphone, which this app seems to require. Any suggestions how I can participate by computer, please? any opportunities for gamification? a lovely badge for FB, LinkedIn, Twitter or discount from my favourite energy retailer PowerShop? I am trying to download it on my laptop running windows 10, but I cannot. Why?